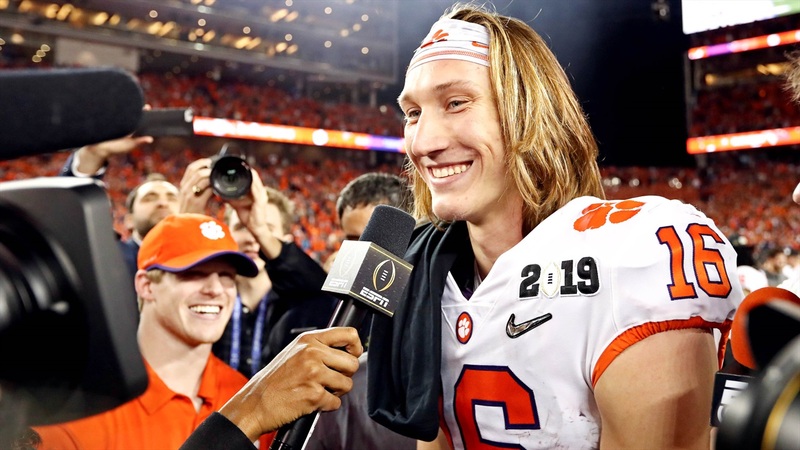 Trevor Lawrence is widely regarded as the top NFL quarterback prospect in the country, and some even believe he would be the number one overall pick if he could go in the draft this season. Luckily for Clemson fans, he has two more years in a Clemson uniform, unless Don Yee has something to say about it. Don Yee is the agent of NFL legendary quarterback Tom Brady, and he’s starting a developmental football league called Pacific Pro Football. Yee also said that he wants Trevor Lawrence to leave Clemson right now and join. With the Alliance of American Football League set to debut next month, and Vince McMahon’s XFL coming in 2020, it was only a matter of time before some league offered a college football star to come play for a salary. While it is highly unlikely Lawrence would take a risk of that magnitude, we may start seeing a trend with some of these developmental leagues recruiting college football superstars.